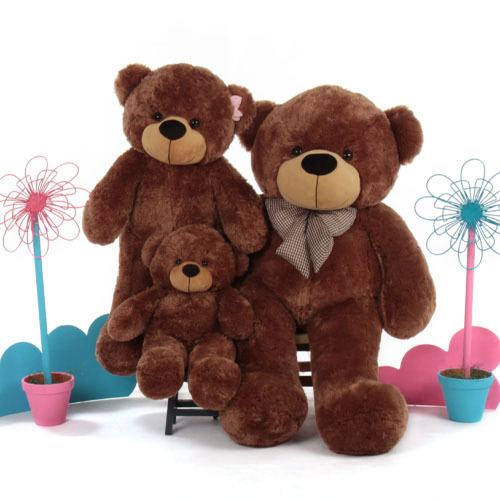 Star in your very own 3 Bears story with this adorable Sunny Cuddles Giant Teddy bear family with a life size Papa bear, Mama bear and Baby bear. Each one has a soft black nose and big brown eyes, and is oh-so-huggable with the super soft and cuddly mocha brown fur Sunny Cuddles is famous for. This fun trio of bears makes a perfect new baby gift, or just a pretty awesome gift for any teddy bear lover you know.